Retaining the vibrant black and green look of the previous Blade line of rackets, Wilson has improved upon the composition and playability with new Countervail technology. The Wilson Blade 98S is endorsed by Milos Raonic, and this new frame still has the characteristics which make the Blade 98S great, the 21mm beam, braided graphite and basalt composition, parallel drilling, and the spin effect 18 x 16 string pattern. 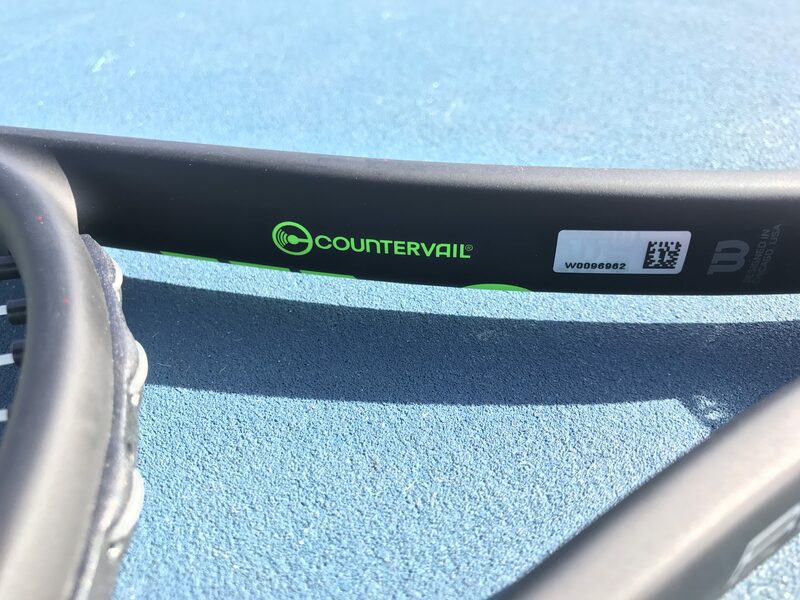 The Blade 98S with Countervail technology is also Sony Smart Tennis Sensor Ready. The review unit I was provided by Wilson is the Wilson Blade 98S, slightly lighter than the other Wilson Blade 98 models, coming in at 11.1 ounces strung, compared to 11.3 ounces strung. I found the new Blade 98S to be firm for its weight, swiftly maneuverable on both forehands and backhands, and maintaining consistent height and depth on shots. The racket is about even balanced and hitting aggressive groundstrokes felt crisp. 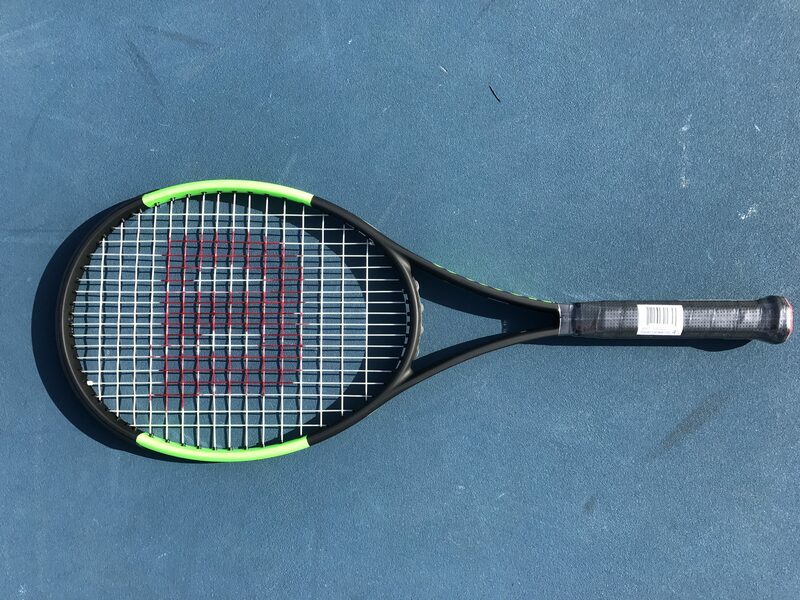 Compared to the previous generation Blade 98S, this new racket with Countervail felt sturdier upon impact on the ball. Thus, the improvements to the frame’s construction are obvious at net, where the heavier swingweight (329) comfortably absorbed pace on volleys. Light and easy to accelerate, the Blade 98S brings plenty of pop on the serve. The 18×16 string pattern helps considerably in generating spin on kick serves. I like the black and green paint job and the thin beam allows for fast swings. The feel is a notch of improvement in this edition compared to Wilson’s previous generations of Blade models. For the frame weighing in at 11.1 ounces, the Blade 98S provided plenty of net clearance and depth all around. I would highly recommend the Blade 98S for all players, as it brings a sturdy feel. It’s a great compliment for the aggressive baseliner. The new 2016 Wilson Blade 98S with Countervail is available at online retailers, such as Tennis Warehouse, Tennis Express, and Midwest Sports.